This week Facebook unveiled a new mobile ad network at its F8 conference. The purpose of the network is for Facebook to sell ads outside of Facebook.com and outside the Facebook mobile app. This is an important evolution in the social / mobile advertising business model with implications for the growth of real-time, context-aware personalized experiences for consumer and business users. The old social advertising model was simple: get everybody to gather at a single location like Facebook and Twitter, harvest social signals at that location, and sell ads that would be displayed at that location. Everyone and everything in one place. Facebook used F8 to describe their evolution to a new model for real-time, context-aware personalized experiences, advertising and apps. Twitter, Facebook, Google, Foursquare are all managing their portfolio of social apps as stand alone offers that enable the harvest of social activities to drive personalized, contextual experiences across other social apps. 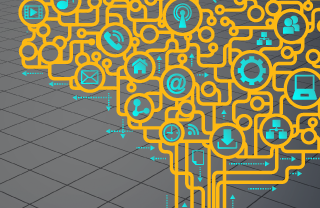 The new model is to harvest social signals from wherever and sell personalized ads wherever. Of course, none of the social networks are going anywhere. They’re still important both to their companies and to their users, and they still play an essential role in user identity and data harvesting and, for Twitter and Facebook at least, as places to display advertising. What’s important for these companies from a future-facing business perspective is to have multiple mobile apps that harvest multiple dimensions of personal data that can be applied to highly customized and personalized mobile experiences and advertising at multiple locations. To be successful in this new model, every player, not just ad-tech companies and social networks but every enterprise, must build some form of a universal context store. 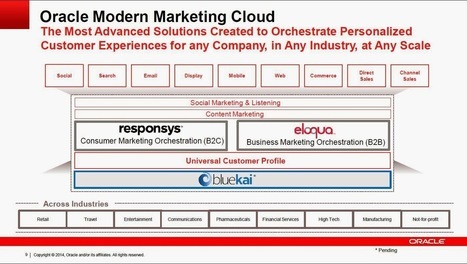 That’s why Oracle recently acquired BlueKai, a Data Management Platform (DMP) powered by Aerospike, at the core of the modern enterprise. Aerospike’s database powers the “universal context store” for major players in the real-time bidding ecosystem. This ranges from ad exchanges like AppNexus, to demand-side platforms (DSPs) like The Trade Desk, supply-side platforms (SSPs) like Pubmatic, data management platform (DMP) providers like eXelate, and companies in mobile, search, gaming, video and more. It is Aerospike’s realtime universal context store that powers today’s leading personalized experiences at scale. With Apple and Amazon setting the standard for personalized experiences, consumer and business uers expect instant and intuitive services no matter what device or channel they use. Enterprises must deliver on these expectations by sensing and analyzing user context and interaction data from web, mobile, offline and online channels to gain immediate insights, context and relevance to respond with just the right content, on the right channel, in real-time.